Video essay examines the point of view shots of the Coen Bros. Despite working in a multitude of genres, with different directors of photography and editors, there still are some tell-tale elements of the Coen Brothers’ style. Usually people will point to their writing, with quick yet deep characterization and unique dialogue that betrays a quirkiness inherent to their works. However, one recurrent element that Jacob T. Swinney noticed was their use of point of view shots in all of their films. With a filmography that covers everything from westerns and gangster flicks to comedies and film noir, it can be rather difficult to pinpoint what exactly contributes to the style of Joel and Ethan Coen. While there are reoccurring themes and ideas that surface throughout the filmmakers’ work, a consistent visual aesthetic is not easily recognized. What makes a Coen Brothers film look like a Coen Brothers film? One stylistic element that seems to be rather prominent in all their films is the POV shot. The Coens tend to utilize the POV shot to better submerse us in a scene, but the shot is often used to simply give us a unique perspective that can only be created through cinema. Here is a look at the Coens’ use of the POV shot throughout their career. As assembled in this massive supercut, many of the point of view shots are simply another way of making traveling distances interesting (usually by adding a touch of the foreboding to the mix). The point of view shots also get the audience into the heads of the characters, like The Dude’s dream in a bowling ball. Whatever the case, they are all stunning to look at, and the clip is a solid contemplation of their use by the master filmmakers. 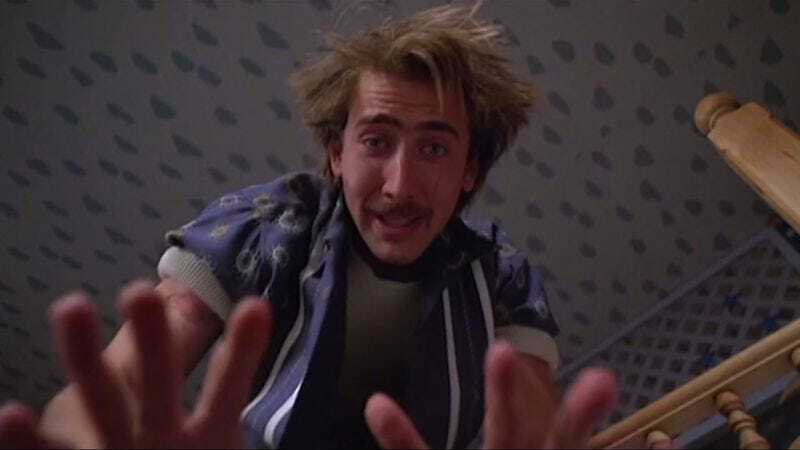 The Coen Brothers: POV Shots from Jacob T. Swinney on Vimeo.